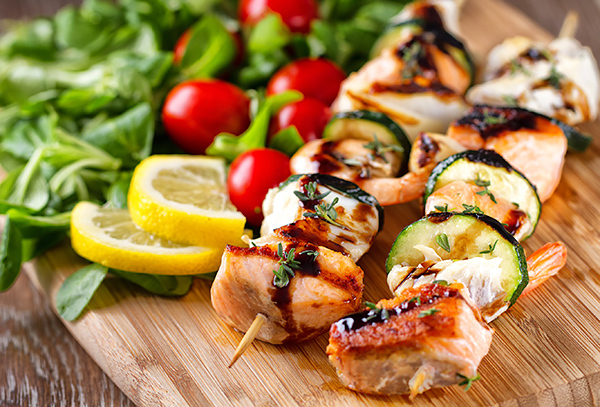 Prepare the kebabs by threading fish cubes, pepper pieces and tomatoes alternately onto 8 wooden skewers*. Place on the glass tray. Place the glass tray on the wire shelf in the lower position and cook on GRILL 1 + SIMMER MICROWAVE for 8-10 mins. Turn during cooking. The fish should flake easily once cooked. *You could also mix it up with prawns and thinly sliced zucchini.